Don’t suffer in silence – that’s the message from United Utilities if you’re struggling to pay your water bill. “If you’re going through a tough financial patch and are finding it hard to pay your water bill, please get in touch with us on 0800 072 6765. We’re easy to talk to and the sooner you call, the quicker we can get you the right support to prevent you falling further into debt,” says Jane Haymes from United Utilities. One scheme, called Payment Matching Plus, promises to make you debt free within two years. If you’re receiving Pension Credit and struggling to make payments, you can apply to United Utilities for their Help to Pay scheme. This caps your bill at a reduced amount based on your income and outgoings. If you’re struggling to make water bill payments due to losing your job or having to pay out for an unexpected emergency, the company’s Payment Break scheme can help by delaying your payments for an agreed period. Any delayed payments are then spread over a longer period of time. United Utilities can also help if you’re applying for Universal Credit by delaying your water bill payments for up to eight weeks while you wait for your first UC payment to arrive. The United Utilities affordability team can be contacted on 0800 072 6765. You can find more information about all of the company’s schemes on their website. A form is also available on this webpage for customers who would prefer to submit their details online rather than calling and United Utilities’ affordability team will give you a call back. GMPA has been working to shine a light on different types of non-statutory support available to people on low incomes. We regularly feature different organisations working to support people experiencing poverty across Greater Manchester in our newsletter and our maps detail different types of support across the city region. If you’d like to feature in our newsletter please get in touch. modern central heating offers greater warmth and lower bills than old electric heaters or solid fuel fires. • Live in a property that is suitable for the safe and economical installation and operation of a central heating system. Both homeowners and tenants are eligible, subject to a landlord’s permission. The scheme covers the cost of everything that’s required: the boiler, radiators and pipework. Eligible households won’t have to contribute anything towards the cost. Where necessary we will also seek to support a household to get connected to the mains gas grid. The affordable warmth visit will also provide advice on saving energy, switching energy tariffs, install small energy saving measures and identify any other opportunities for a household to reduce their bills, such as insulation and income maximisation. 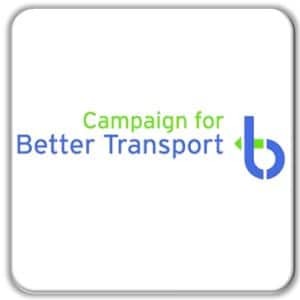 The scheme is being managed by AgilityEco on behalf of the Greater Manchester authorities. The systems are being installed by Engie, formerly Keepmoat Regeneration. 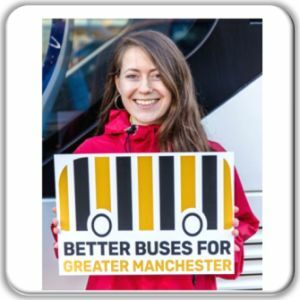 Victoria Egerton leads on Research & Campaigns at Citizens Advice Manchester and is a member of GMPA’s Fuel Poverty Special interest Group. This article outlines some of the issues behind Fuel Poverty, the support that people need, and invites you to a morning of training and discussion on Fuel Poverty Awareness Day, 23rd February 2018. With the rollout of Universal Credit, low wages and zero hour contracts, the freeze on working age benefits, inflation, high energy costs and energy inefficient homes, it is becoming increasingly difficult for people to afford to adequately heat their homes. Fuel Poverty Awareness Day is a national day to raise awareness of the impact of fuel poverty. In December 2017 alone our energy advice team at Citizens Advice Manchester advised 118 clients on 562 issues. We regularly support people that are unable to afford to top up their pre-payment meters, have exacerbated health problems due to cold homes and those that are having to choose between eating and heating their homes. 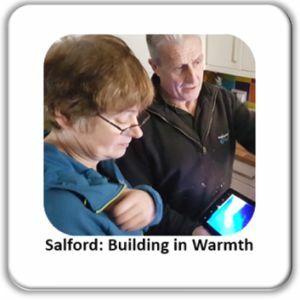 As part of our delivery on the Big Energy Saving Network Campaign we are inviting front line workers and volunteers from across Greater Manchester to join us for a fuel poverty awareness training event on February 23rd 2018. We will raise awareness of key issues and discuss how we can work together to reduce fuel poverty in Greater Manchester. 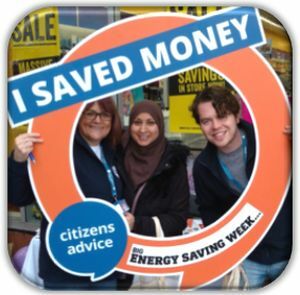 During Big Energy Saving Week we campaigned across Manchester at supermarkets, shopping centres and hospitals to help people check, switch and save: check that they are on the best deal, switch supplier and save money on their energy bills. It was a great way to reduce fuel poverty and raise awareness of the support available with energy arrears. To make a referral to our energy team for energy arrears you can either send an email or call 01616721234. Fuel poverty in England is measured using the Low Income High Costs (LIHC) indicator. Under the LIHC indicator, a household is considered to be fuel poor if they have required fuel costs that are above average (the national median level) or were they to spend that amount, they would be left with a residual income below the official poverty line. According to the Government’s Annual Fuel Poverty Statistics Report 2017, in 2015, the proportion of households in fuel poverty in England was estimated at 11% (approx. 2.5 million households). This is an increase of 0.4 per cent from 2014. The level of fuel poverty is highest in the private rented sector (21.3 % of households) compared to those in owner occupied properties (7.4%). Those in the private rented sector also tend to be deeper in fuel poverty, with an average fuel poverty gap of £410, compared to £175 for those in local authority housing. 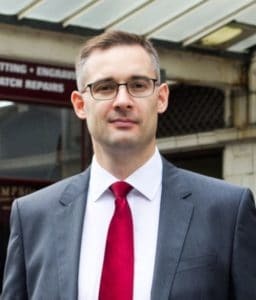 Electricity North West, the region’s power network operator, is represented by Jonathan Collins in GMPA’s Fuel Poverty Special Interest Group. 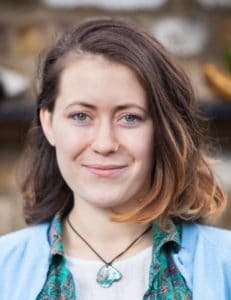 Here, his colleague Lauren Webb writes about their work with Energy Saving Trust and the development of a referral network to provide support for fuel poor households in Greater Manchester. 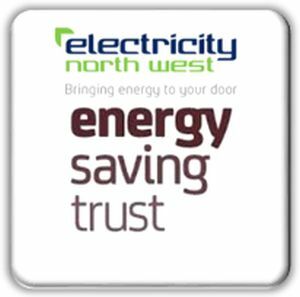 Electricity North West has collaborated with Energy Saving Trust to investigate the ways in which they can help tackle fuel poverty in the region. The aim of the project, which originated from a recent stakeholder advisory panel, was to gain a vital understanding of fuel poverty at a local, regional, and national level, including identifying households living in fuel poverty, government programmes, and local authority schemes. With this insight in mind, Energy Saving Trust has developed a series of options which can be implemented by Electricity North West. These options included developing a referral network which would provide customers with energy saving advice and welfare and debt advice as well as provide customers with funding for energy efficiency improvements for their homes, including cavity wall and loft insulation. Energy Saving Trust also suggested working closely with the Government to develop future fuel poverty and energy efficiency programmes. Within Electricity North West’s operating region, 50% of fuel poor households live within the Greater Manchester area. Within the Manchester City Council area 15% of households are defined as fuel poor. There is an urban/rural spilt in the reasons for fuel poverty. In urban areas, such as Greater Manchester, the main reason for fuel poverty is low income where as in more rural areas, such as Kendal, the reason is the size and age of homes which are harder to heat. Government and Local Authority fuel poverty schemes are often limited to households who are either elderly, on benefits or on a low income. Future Government policy such as the Industrial Strategy, Emissions Reductions Plan, Energy Company Obligation 3 and the roll out of smart meters will help tackle some of the issues related to fuel poverty, however the potential outcomes for customers are unknown. Community investment funds for community groups to deliver energy efficiency schemes. Referral networks where customers are given advice and support on fuel poverty issues including energy saving advice and welfare and debt advice. Within the Greater Manchester area 12% of people surveyed felt they could not heat their homes adequately. Of this 12%, 55% said that the reason for this was that they could not afford their energy bills. 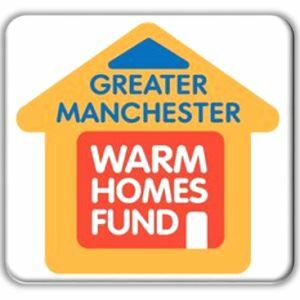 21% of respondents living in the Manchester City Council area felt they could not heat their homes adequately. This is a 6% difference compared to Energy Saving Trust’s findings which may be due to peoples’ perception versus the Government definition. 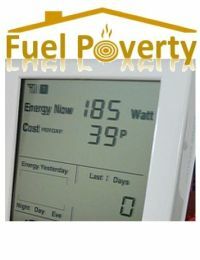 The Government defines fuel poor households as those living below the poverty line whilst having fuel costs above the average (median) in order to heat and light their home adequately. Energy efficiency is one way that can alleviate fuel poverty. The research highlights that ‘improvements to energy efficiency provides long term protection against fuel poverty, as they shield the household from changes in fuel prices and income’. However, according to the YouGov study 71% of respondents within the Greater Manchester area have not previously sought energy saving advice. Energy Saving Trust states within its report that previous energy efficiency and fuel poverty alleviation programmes have varied across different local authority areas having different levels of success. These schemes have often been stop-start in nature where there is an increase in activity to meet funding requirements which is then followed by a fall in activity as funding for schemes have ended. This has made it difficult for customers, supply chain and other organisations to know the best option available for customers. Energy Saving Trust believes that a distribution network operator-led programme could offer a level of coordination to make best use of existing local, regional and national funding and schemes. It could also provide greater consistency and stability to the delivery of fuel poverty programmes. Electricity North West is currently working with Energy Saving Trust in the development of a referral network to provide support for fuel poor households living in our region. Naila Ilyas is a member of GMPA’s Fuel Poverty Special interest Group. 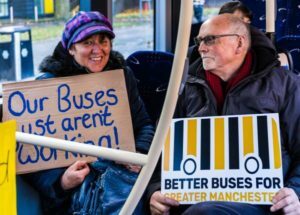 She works as an energy adviser for Northwards Housing, a social landlord managing council homes in some of Manchester’s most deprived areas. 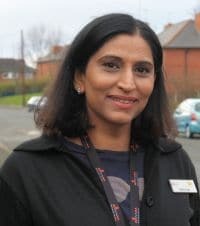 This article profiles Naila’s work, which over the last three years has helped 700 North Manchester residents to save a total of £108,000 on their fuel payments. Marilia lives in Blackley and was struggling with expensive energy bills and water rates. Marilia is on a low income and has two small children to provide for but now she saves over £500 a year on her energy bills and a reduction in her water rates from £40 to £25 per month. Marilia hadn’t understood exactly how much her water bill should be, so she kept paying the higher rate without question. Naila carried out a price comparison to find her a cheaper energy supplier and has given Marilia an energy monitor so that she can keep a closer eye on her energy use. Also living in Blackley is Sharon who is disabled and lives on her own. Severe arthritis makes it very difficult for Sharon to turn on her fire. She had tried to avoid having to turn it on frequently by leaving the thermostat set quite high which left her with very steep gas bills. Add to that the £10.50 each week that she was paying for ‘Bedroom Tax’ and Sharon’s financial situation was unmanageable. Naila helped Sharon change to a cheaper energy supplier, saved her over £100 by switching to a water meter, applied on her behalf for a Warm Home Discount, and in total saved Sharon £487 a year. Now she can stay in her home as she can now afford to pay that extra tax. In addition to face-to-face advice for residents, Naila trains others so that she can reach more people with her energy and money saving expertise. Members of the public become ‘energy champions’ – volunteers who provide energy advice to their local community. She also delivered ‘carbon literacy training’ to all 320 Northwards staff in 2016. Its a comprehensive course, equipping participants with the knowledge to shrink their own carbon footprint and then share the information with tenants to help make a big money-saving difference in their own lives.